With the FEC asleep at the wheel, the best hope for campaign finance reform might be local governments. High levels of independent expenditures, the prominence of big donors, and a lack of transparency about funding sources have become part and parcel of the electoral process — thanks to legislative changes and agency gridlock. By closely following the flow of cash into political coffers, a new report from the Campaign Finance Institute (CFI) sheds light on what has caused the ever-increasing polarization of political campaigns. But not all is grim on the reform front. Where federal bodies have failed to regulate and enforce laws intended to abate political corruption, cities and states are moving ahead with local measures that hold out the promise of more transparent and representative elections. Through the 1990s, most major presidential candidates accepted public funds to finance their campaigns. The spending caps that came with public funding were widely seen as an integral part of a healthy election process. By the early 2000s, the pendulum had begun to swing toward private donations. 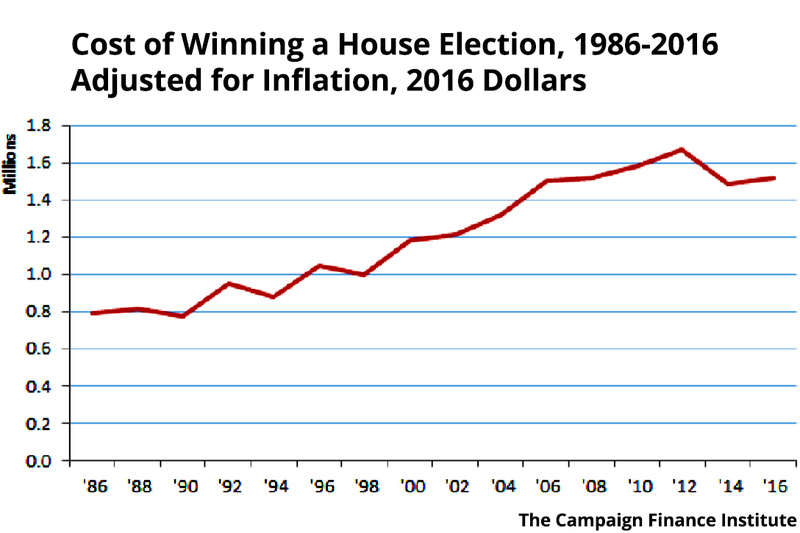 Barack Obama was the first major party nominee to rely solely on private money; not coincidentally, levels of campaign spending have skyrocketed since. In 2010, two Supreme Court decisions — Citizens United v. FEC and SpeechNow.org v. FEC — made it even easier and more appealing for campaigns to renounce public funding, and its associated spending caps, and draw entirely on private donations. Citizens United removed any limits on independent spending by corporations and unions, while SpeechNow declared that organizations that make only independent expenditures would face no contribution limits. Taken together, these rulings led to a spike in independent spending. Protected as free speech since Buckley v. Valeo in 1976, independent spending is money spent in direct support of a candidate — often to buy ads or otherwise boost media coverage — but with no coordination between the donor and the candidate or a campaign committee. 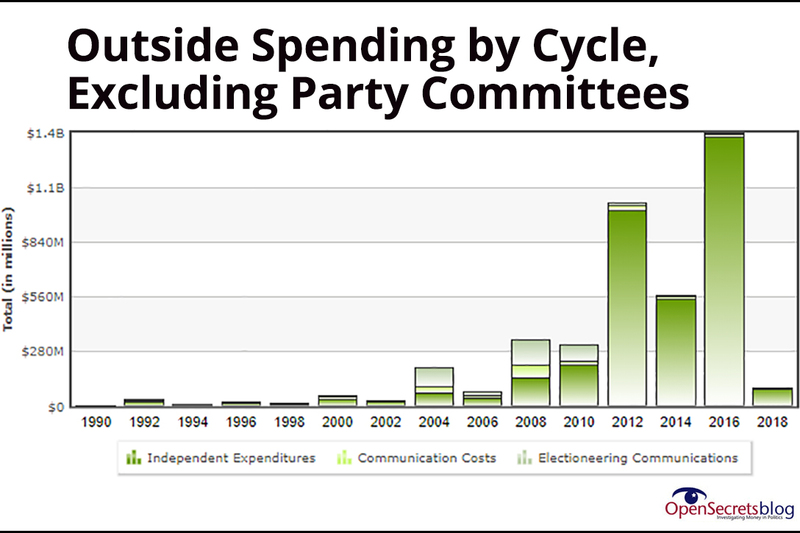 Such spending increased nearly 14-fold from 2004 to 2016 in presidential campaigns and 15-fold in congressional races. Much of this spending, the CFI report concludes, comes from closely allied SuperPACs and formal party committees, lending a definite “insider” cast to what is nominally “independent” spending. While Citizens United marked the shift toward a reliance on fewer larger donations, another Supreme Court decision four years later — McCutcheon v. FEC — amplified its effect. McCutcheon allows a donor to give the maximum legal contribution to an unrestricted number of candidates, political party committees, and PACs, as long as the total giving remains below a mandated threshold — currently $1.8 million, which is more than 12 times the maximum before McCutcheon. Contributions exceeding $20,000 now represent the largest percentage of funding for the Democratic and Republican national parties. Even as the Supreme Court opened the floodgates for “independent” political contributions, the FEC has largely failed to enforce existing regulations on such expenditures. The FEC never was a vigilant agency. Indeed, campaign finance reformers called it the “Failure to Enforce” commission. But it has grown even more lax in policing the boundary between “independent” and “coordinated” spending, between outside donors and the campaigns they support. As long as they don’t literally coordinate with outside money to create and disseminate a specific advertisement, campaigns have ample leeway to work with donors on a wink-wink, nudge-nudge basis. Enforcing to the beat of its own drum, the FEC has issued fewer and fewer fines in response to complaints in the past 20 years — despite often ample evidence of violations. In 2016, the Foundation for Accountability and Civic Trust (FACT) filed a complaint with the FEC against Patrick Murphy, then running for US Senate in Florida. FACT maintained that Murphy and close relatives — in violation of campaign finance law — had donated hundreds of thousands of dollars from the family company to a Super PAC supporting Murphy’s candidacy. Local news outlets covered the events, but the FEC finally ruled in 2017 that there was “no reason to believe” the allegations. Such weak enforcement of regulations around independent spending has played no small part creating increasingly nationalized and dumbed-down campaigns. Yet, several states and cities have already instituted campaign reforms that could serve as national models to help restore checks and balances to the US electoral system. Spaulding sees the DISCLOSE Act as a valuable tool to shine a light on money that is cycled and laundered through other organizations. 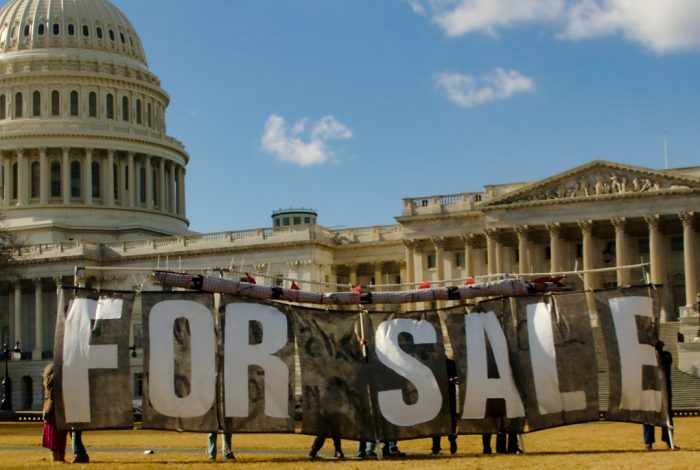 There have been efforts in Congress to pass similar legislation to strengthen the disclosure requirements for corporations, labor organizations, Super PACs, and other organizations. But the prospects for passage are dim. In addition to increasing electoral transparency through legislation, local jurisdictions can take action to encourage more citizen participation in democracy. Seattle runs a taxpayer-funded Democracy Voucher Program, which distributes vouchers worth $100 to registered voters who can use them to support candidates in local elections. The Council of the District of Columbia is currently considering a Fair Elections Act, which would implement a publicly funded, small-donor matching system. A similar program, already in place in New York City, has been celebrated as a strategy to break down the barriers to political contributions and make elections more competitive. Related front page panorama photo credit: Adapted by WhoWhatWhy from coins (kschneider2991 / Pixabay – CC0).